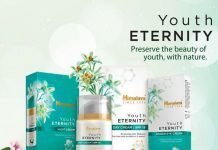 Kronokare has recently launched their first ever skin care range in the market. The entire range is enriched with pure ingredients and claims to make the skin feel Fresh & Fabulous as never before. 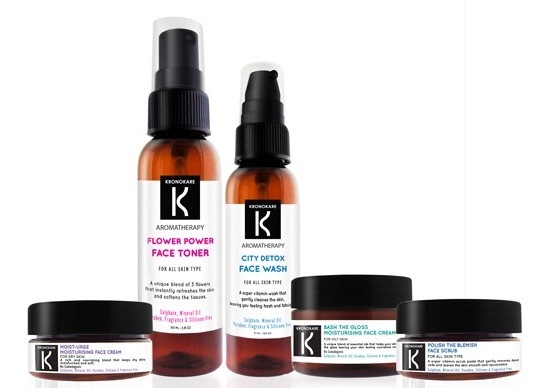 Kronokare Face Care Collection includes 5 products – Kronokare City Detox face wash, Kronokare Flower Power face toner, Kronokare Polish the Blemish face scrub, Kronokare Moist-Urge Moisturising face cream and Kronokare Bash the Gloss face cream. The entire range will be available at Kronokare.com from the next month. Next month we are very excited about the launching of a revolutionary Face Care Range. 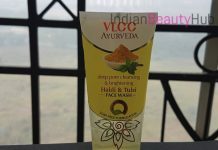 A unique collection of products that covers all skin concerns and offers an easy utilisation. Inspired with traditional Aromatherapy blends, all our products are enriched with pure Essential Oils that not only treat the skin but also give a beautiful scent to our range, allowing us to remove all fragrances from our formulations. 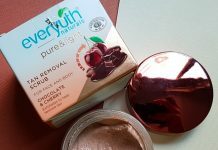 Every product has been enriched with natural extracts of beetroot that moisture the skin, leaving it smooth and nourished. All chemicals that contains sulphate, silicone, mineral oil or paraben have been simply banned, as to give your skin the respect it deserves. Our Face Care products are without Paraben, Silicone, Mineral Oil, Sulphate. Kronokare Face Care Collection delivers to your skin what Nature has best to offer and preserves your skin from aggression due to any harsh chemicals. Simple formulation, made with pure ingredients plus a touch of love, our Face Care products will make your skin feel Fresh & Fabulous as never before.